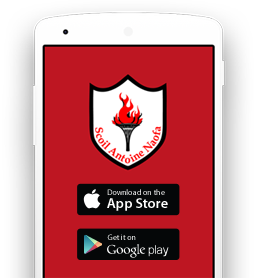 St. Anthony’s BNS is committed to preserving the privacy of all visitors to www.stanthonys.ie. This privacy statement relates to our practices in connection with our website and is designed to assist you in understanding how we collect, use and safeguard the personal information you provide to us and to assist you in making informed decisions when using our site and our services. St. Anthony’s BNS fully respects your right to privacy. We will not collect personal information/personal data about you when you visit our website unless you choose to provide that information using the “Contact us” form. You are entitled to see the information we hold about you. On written request, we supply copies of your personal data, which you may have supplied to us using our website. If you wish to obtain copies of this personal data, you should write to the Board of Management of St. Anthony’s BNS at Ballinlough and ask that it provides you with an Access Request Form. Your request will be dealt with as soon as possible and will not take more than a month to process. If you discover that St. Anthony’s BNS holds inaccurate information about you, you can request that we correct/delete that information.